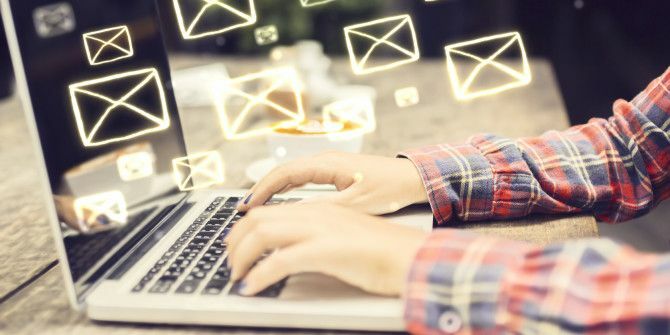 Organizing your email can be a tedious and time-consuming task, but it’s often necessary to make sure you don’t miss out on those important emails you want to see. Rather than sift through newsletters, junk mail, and more, there are two ways to streamline your email inbox. One of them requires very little heavy lifting, and the other, while it may take more effort, will also lead to a great final result. AOL new service Alto is probably one of the easiest, out of the box ways to make sure you never miss an email. Available as an iOS and Android app, as well as through a web interface accessible in any browser, Alto automatically organizes emails into groups called Stacks. Alto is something like Gmail’s tabbed view on steroids. While Gmail divides emails into four handy columns — Primary, Social, Promotions, and Updates — Alto takes it a step further. Alto’s Stacks include grouping messages by files, photos, shopping, travel, finance, and more. You can also create additional Stacks, much as you would with filters in any email provider. The criteria for creating Stacks include the sender, recipients, and keywords. You can also choose to include messages with photos, files, or just messages. Another advantage to using Alto is that it places all of your email accounts in one place, so you get those organizational features you might like in one email platform, but can use them for all your accounts. If you prefer not to grant Alto access to your email accounts or you find that it’s automated system doesn’t meet your standards, you could go the longer and much more tedious route of setting up filters 4 Smart Gmail Filters That Help You Deal with Too Much Email 4 Smart Gmail Filters That Help You Deal with Too Much Email Decluttering and organizing your Gmail inbox is a daily chore. There is a smarter way to do it. Create four basic types of filters in Gmail to sort your emails right automatically. Read More that will file away all emails into folders, or in the case of Gmail, under labels Rediscover Gmail Labels and Finally Tame Your Inbox Rediscover Gmail Labels and Finally Tame Your Inbox There are plenty of tricks to deal with email overload, but there's one right under your nose that you might not be using: good old Gmail labels. Read More . If you’re signed up to receive a lot of newsletters or mailing lists, this is going to be an extremely time-consuming exercise. Filters are a standard feature in just about any email provider including Gmail, Outlook, and Yahoo. Filters can be created based on senders, recipients, keywords in the subject or body, and the inclusion of attachments. When creating filters, you can automatically move certain messages to specified folders. If there are certain senders, keywords, or attachments you don’t want to miss out on, you can also choose to automatically flag these messages so you know where to go to find your most important emails. In addition to creating filters, you can also whitelist certain senders or lists to make sure their emails don’t end up in your junk inbox. To find out how to do that check out our guides for Gmail How to Whitelist Email Addresses in Gmail How to Whitelist Email Addresses in Gmail Tired of missing certain emails because they keep getting sent to your spam box? Here's how to whitelist certain email addresses in Gmail. Read More , Yahoo How to Whitelist Email Addresses in Yahoo How to Whitelist Email Addresses in Yahoo Are you missing emails from subscriptions that you care about? Here's how to whitelist any sender in Yahoo mail. Read More , Outlook.com How to Whitelist Email Addresses in Outlook.com How to Whitelist Email Addresses in Outlook.com If you're using Outlook.com and failing to receive emails from certain contacts, you may need to whitelist them. Here's how. Read More , AOL How to Whitelist Email Addresses in AOL How to Whitelist Email Addresses in AOL Email spam is frustrating, but so is missing valid messages because of an over-zealous email filter. Here's how to whitelist any sender in AOL mail. Read More , and Postbox How to Whitelist Email Addresses in Postbox How to Whitelist Email Addresses in Postbox If you're using Postbox and noticing that certain emails are being erroneously filtered as spam, then here's how you can whitelist them back into your inbox. Read More . What tips and tricks do you use to make sure you never miss an important message? Let us know in the comments.